Welcome to my t-shirt shop! Show your fun side in style and grab one of my tees or tank tops in three popular colors, white, gray or black. Pair my tees with your favorite jeans, shorts or PJ bottoms. Other t-shirt sizes and colors available, as well as a large selection of vinyl colors, just convo me. Upgrade to glitter or print on the back for just $3.00. Sport number and name on the back just $5.00. My youth t-shirts are Gildan Unisex 5.3 oz. 100% Pre-Shrunk Heavy Cotton. My adult shirts are high quality Hanes 4.5 oz., 100% Ringspun Cotton Nano T®. My tank tops are Hanes 4.5 oz. X Temp Performance Tank Tops, 60% cotton / 40% polyester. Sizes tend to run small, the women's sizes are tapered and fitted, so order the next size up if you would like a looser fit. Copy and paste the link below to your browser to opt-in to my newsletter and get $5 off your next t-shirt purchase! Just as pictured, fast shipping. 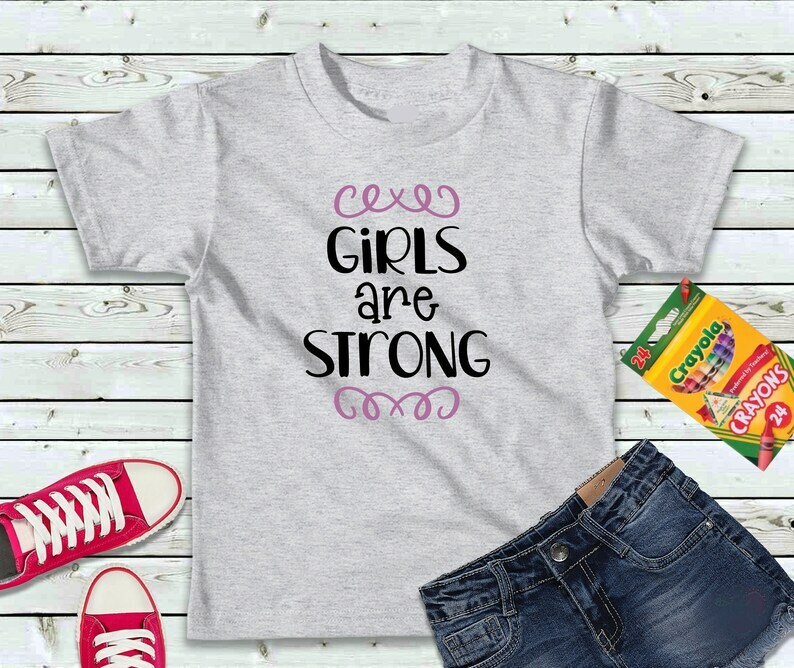 My daughter loves her shirt! My niece loves the shirt!! I contacted Terri about a custom order that I needed for a work event coming up and she not only was able to do what I needed but it was done quickly and it came out great!!!! Highly recommend!! I create t-shirts thru the vinyl heat press method that are bright and colorful and will never fade or crack like screen printed shirts. For one color t-shirts and tank tops you can choose any of the 37 vinyl colors shown in my pictures. Please convo me if you would like a different color. Disclaimer: To the best of my knowledge, all quotations included here fall under the fair use or public domain guidelines of copyright law in the United States. If you believe that any quotation violates a copyright you hold or represent, I will immediately remove it upon notification pending good-faith resolution of any dispute. Wash inside-out in warm water with similar colors, no bleach, tumble dry low. There will be some shrinkage. Press inside out with warm iron if needed. The women's sizes are tapered and fitted and tend to run small, so order the next size up if you would like a looser fit. T-shirts are made to order therefore returns are not accepted. If, however, a mistake is made on your t-shirt, please contact me and I will gladly correct or replace. I value great reviews and love happy customers!